The competitions were followed by the Dental check up for the students by Dr. T. Venkata Sridevi, Cosmetic Dental Surgeon. She has counseled the students regarding the oral health and the problems related to oral cavity. She said that good oral care is important in maintaining healthy teeth, gums and tongue. Doctor has also explained and cleared the doubts of students with regard to various problems of teeth and cavities and other related problems. In the afternoon session, Dr. Kola Vijaya Sekhar, Deputy Civil Surgeon, Govt. General Hospital, Vij, counseled the students regarding the ophthalmic problems and precautions to be followed for the students. He has also focused on the health cards and various plans related to the eye and other related problems. He stressed on the pint of having a thorough check up of the eyes which when neglected may lead to severe problems and even to blindness. All the Intermediate students underwent eye check up and cleared their doubts. All the HODs and members of the Departments monitored the programme. Jury Members visiting the Students Exhibits. 1 Inspire student training programme by the Department of Science and Technology, New Delhi Vijayawada of Andhra Loyola College was organized from 17-10-2016 to 21-10-2016. Total 250 students trained in different advance Practicals of Botany. M.Tejaswini-involving the students in Practicals..
Dr.B.Siva Kumari,Dept. 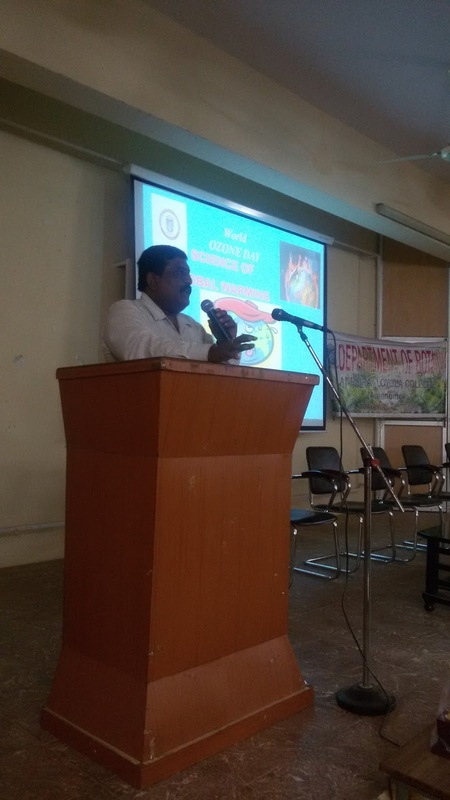 of Botany,acted as a Jury Member for Flower Arrangement Competition Organised by PG Depts.of Andhra Loyola College. The Departments of Botany, Biotechnology &Microbiology have organized a DBT sponsored Guest Lecture by Dr. B. Siddhardha, Asst. 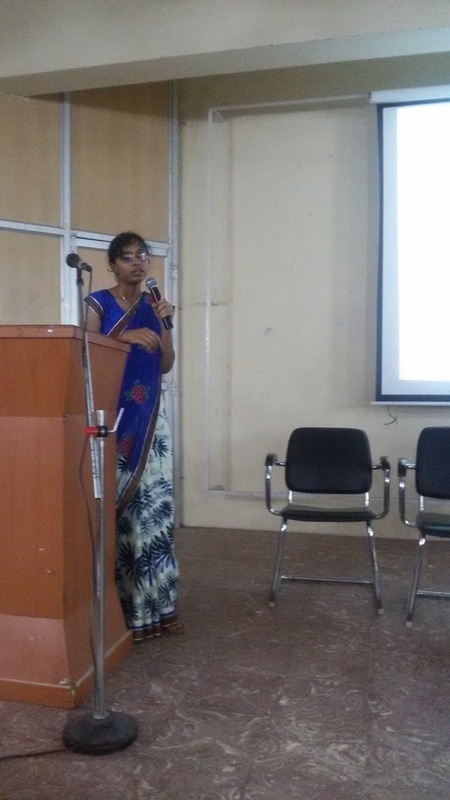 Professor, Dept of Life Sciences, Pondicherry University, on “Synthesis of Baicalein conjugated gold nano particles and inhibition of Quorum sensing induced Biofilm formation in Pseudomonas aeruginosa PAO-1" on 23rd September, 2016, at Andhra Loyola College, Vijayawada. 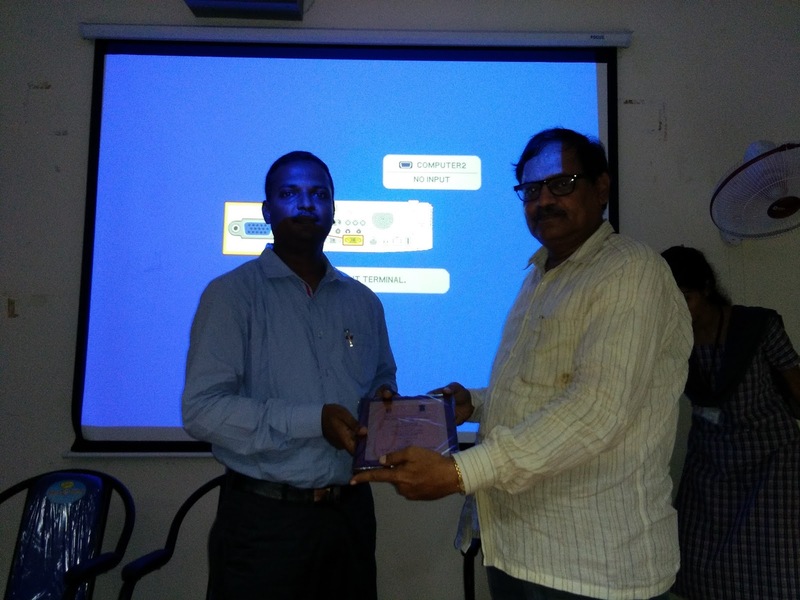 Mr. K. Balachandra, Dept of Microbiology, Introduced the Guest Speaker. Dr. B. Siddhardha ,delivered his talk on the importance of active research going on in Quorum sensing and Nano particles, Bio-film, formation and also about the Ballerina and its activity in a clear cut and in a vivid manner so that the students are motivated towards the current research aspects in an interesting way. He also explained the students about the career aspects in Biological Sciences..
All the Faculty members of the partcipating Departments were present. 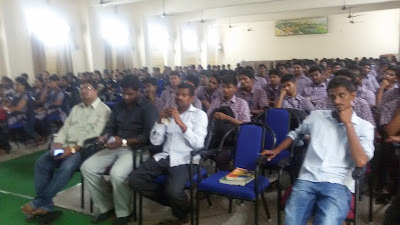 Total 230 students participated in this programme. The Department of Botany Andhra Loyola College in collaboration with Depts. of Botany & Zoology of J.M.J College for Women jointly organized a one day DBT Sponsored Regional Seminar on “SCOPE OF BIOLOGY& FUTURE CHALLENGES”at JMJ College for Women, Tenali on 17th Sep, 2016. The objective of this Seminar is to promote the importance of Biological Sciences and to explain the Role of Govt.Organisations for strengthening of Biological Sciences. Dr. P.Sasikala, Associate Professor, Dept. of Agronamy, Dr. YSR Horticultural University and Rev. Fr. S. Melchoir, SJ. invited as the Resource Persons. Dr. P.Sasikala emphasized the importance and preservation of germ plasm, Role of gene banks for future generations and Bio-remediation process for reducing pollution. Rev. Fr. S. Melchoir, SJ, motivated the students by explaining the career guidance and opportunities for Biological Sciences. 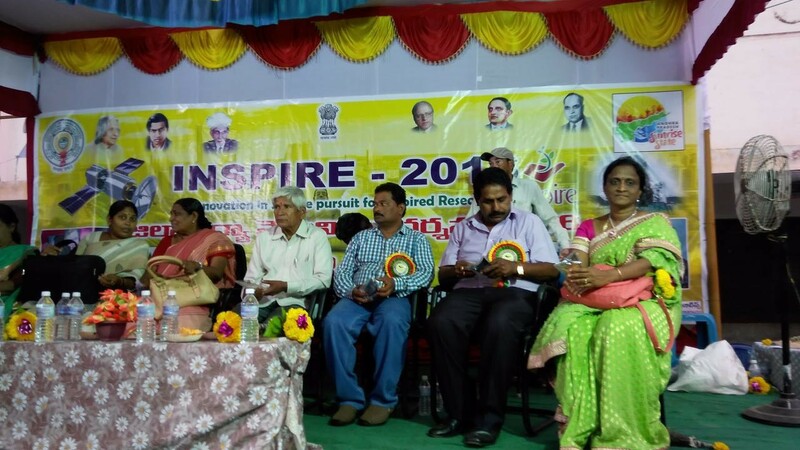 All the officials of J.M.J College for Women & Andhra Loyola College participated in this programme. 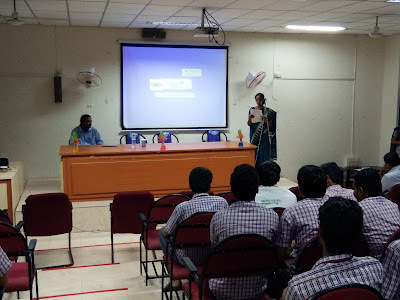 On the eve of “World Ozone Day” on 16th September, 2016, the Departments of Botany, Environmental Science and National Green Corps of Andhra Loyola College, organized a Guest lecture on World Ozone Day to promote Environmental Awareness among the students. This programme was inaugurated by Rev Fr. S. Melchoir, S.J, Vice Principal (UG). Ms Tejaswini -Introducing the Theme of the DAY. Ms Tejaswini, Department of Environmental Science introduced the theme of the day. She explained about the importance of Ozone layer & role of an individual to save and protect mother Earth. 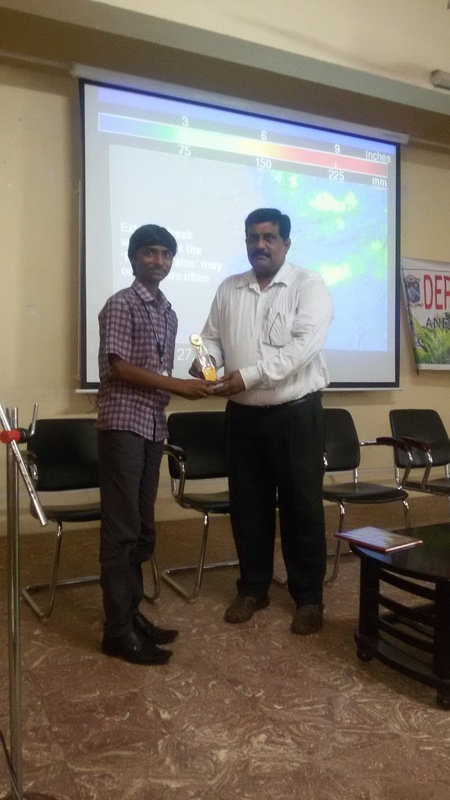 The Guest Speaker Dr. T. Srikumar, Department of Physics, Andhra Loyola College, emphasized on Climate Change, Global Warming – Causes ,occurrence and effects of global warming on Human Health, Plants and Animals. 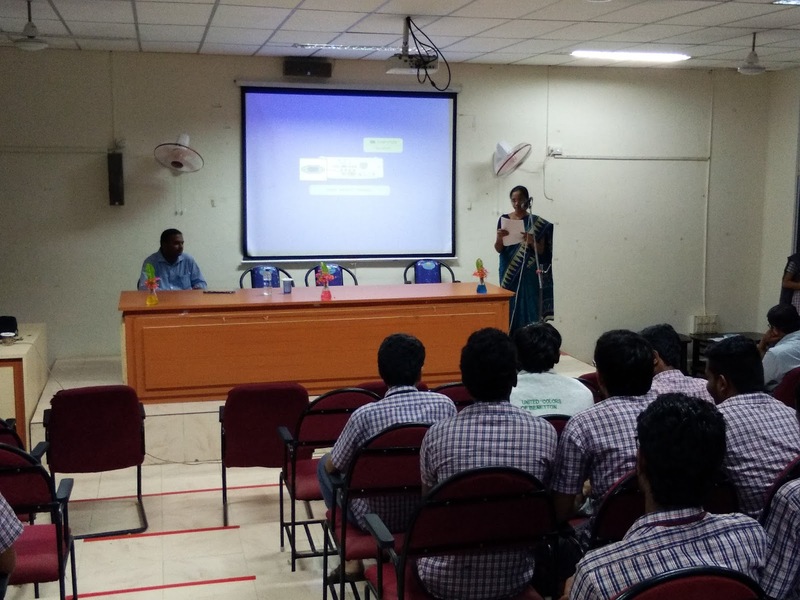 Dr. Sri Kumar enlightened the Students about the importance of Green-house gases.. He also educate about Montreal Protocol, its important amendments, ozone hole in Antarctica ,Scanty ozone depletion over arctic region ,consequences of Greenhouse effect such as Rise in sea level, effect on plants, human health and wildlife etc. Prizes were distributed to winners of slogan writers. All the faculty members from the Departments of Botany, Microbiology & Biotechnology participated in this programme. 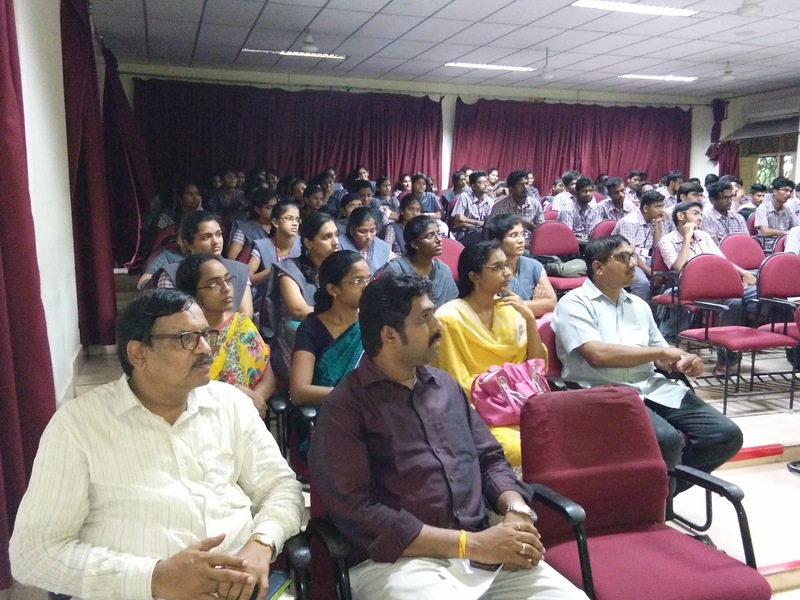 Total 225 students attended the Guest lecture. Slogan Writing Competition Theme: Global Warming – Climate Change. On the eve of “World Ozone Day” on 16th September, 2016, the Departments of Botany, Environmental Science and National Green Corps organised a Slogan writing Competition on "Global Warming –Climate Change" on 15th Sep, 2016. 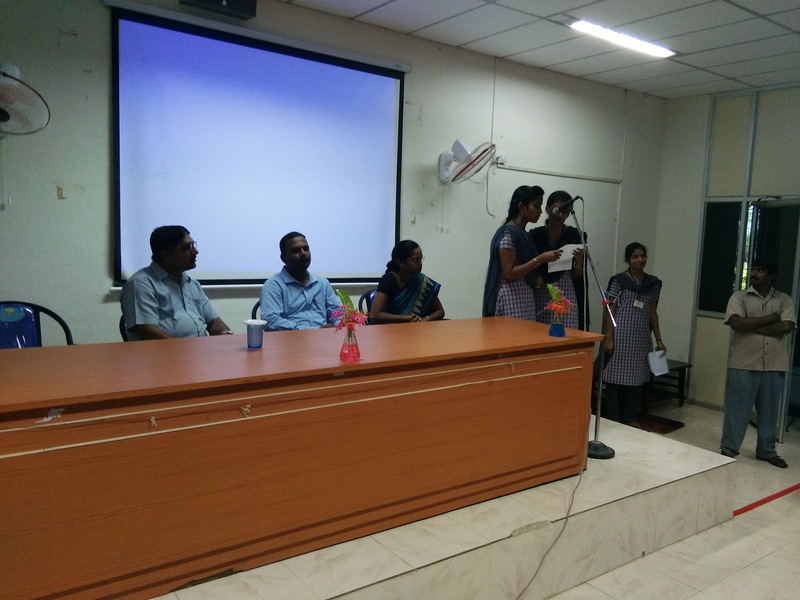 Slogan Writing Competition was conducted on the topic Global Warming – Climate Change. in which 200 Students participated in this Program. Mr. K. Sankar and Dr. Ch. Chinnappa, from P.G Dept. of Botany, invited as Judges for this Competition. Prizes distributed on 16th Sep, 2016.